One year on from the beginning of the Arab revolutions which began in Tunisia and continued to Egypt, Libya, Yemen, Bahrain, and Syria, people continue to struggle. But analysts argue that these revolutions have been manipulated by the west especially in countries like Syria. The Arab league is also showing what many call double standards in the situation of Syria with countries like Saudi Arabia and Qatar who have oppressed the free will of their people for so long and with supporting an armed revolt in Syria which has led to the death of many military personnel and civilians. With hope and skepticism intermingled, this edition of Middle East Today takes a closer look at the prospects of the people’s revolutions in the Arab world (28 Jan 2012). And, as such, I think that this would be a good opportunity to repeat what I said last year in Hürriyet Daily News: ‘Following the breakup of the Soviet Empire, the proliferation of color revolutions throughout former Communist countries also appeared spontaneous and driven by the popular will. In hindsight, however, it has come to light that their organization and planning was funded by the West. Rather than spontaneous and popular, nowadays these “revolutions” have often been called “orchestrated.” The people of Ukraine, Georgia, and Kyrgyzstan were manipulated by U.S. intelligence agencies and NGOs like Freedom House and the Albert Einstein Institution to overthrow their pro-Russian leadership. So, what about the recent events in Egypt? Is the Middle East now being remade in the shadow of Zbigniew Brzezinski’s “arc of crisis”? In this context, Gene Sharp and the Albert Einstein Institution appear crucial. Sharp, also known as the “Machiavelli of nonviolence” or the “Clausewitz of nonviolent warfare,” has written a great many books on “Civilian-Based Defense” and democracy that can serve as blueprints for popular uprisings against authoritarian regimes. On the institution’s website many books, such as “From Dictatorship to Democracy,” are available for free download in many languages, including Arabic. The protestors in Tahrir Square time and again stressed the peaceful nature of their actions, only to be violently disrupted by pro-Mubarak or “pro-stability” activists on horseback and mounted on camels one day, leading to significant casualties and fatalities. But, quite apart from NGOs and their encouragements of non-violent protest in favor of regime-change more amenable to NATO and U.S. interests, WikiLeaks has revealed something altogether much more sinister. The broadcaster RT reports that the “U.S. government had been planning to topple the Egyptian president for the past three years – that’s according to diplomatic cables released by WikiLeaks. The files show Washington had been secretly backing leading figures behind the uprising.” A cable dated Dec. 30, 2008, indicates that a leader of the April 6 Youth Movement – a Facebook-driven opposition group – informed U.S. officials that opposition groups had come up with a plan to topple Hosni Mubarak before scheduled elections in September 2011. The cables also indicate that the U.S. authorities helped an April 6 leader to attend an “Alliance of Youth Movements” summit at Columbia University in New York on Dec. 3-5, 2008. In November 2008, the U.S. government promoted this event as an occasion bringing together “Facebook, Google, YouTube, MTV, Howcast, Columbia Law School and the U.S. Department of State . . . to Find Best Ways to Use Digital Media to Promote Freedom and Justice, Counter Violence, Extremism and Oppression.” The participating youth leaders were expected to “produce a field manual for youth empowerment,” adding that this document “will stand in stark contrast to the al-Qaeda manual on the basics of terrorism, found by Coalition Forces in Iraq.” Matthew Waxman, a Columbia associate professor of law, said: “We at Columbia are excited about helping, designing, and studying innovative public-private partnerships that leverage new technologies to tackle some of the world’s greatest challenges. This summit is a great opportunity to do this.” In this way, using fashionable buzzwords and jargon, Dr. Waxman tacitly provided academic credibility to this summit so clearly aimed at furthering America’s cause across the world. The summit was also attended by such luminaries as Whoopi Goldberg, actress and host of ABC’s “The View,” Dustin Moskovitz, co-founder of Facebook and James K. Glassman, undersecretary for public diplomacy and public affairs, U.S. Department of State’. (1) C. Erimtan, “Behind the scenes of Egypt’s revolution” Hürriyet Daily News (27 February 2011). Reports emerge of military vehicles arriving in town of Agadez as Gaddafi stronghold of Bani Walid braces for attack. (5 September 2011). The Reuters reports claims that the ‘convoy contained between 200 and 250 Libyan military vehicles and included officers from Libya’s southern army battalions, and likely crossed from Libya into Algeria before entering Niger, the sources said on condition of anonymity. The French military source said he had been told Muammar Gaddafi and his son Saif al-Islam might be considering joining the convoy en route to Burkina Faso, a landlocked West African state which has offered Gaddafi and his family asylum and has a border with Niger.Gaddafi’s entourage has been hit by numerous high-profile defections, arrests and killings since an uprising that has effectively ended his 42-year rule of the country. The head of Muammar Gaddafi’s security brigades, Mansour Dhao, along with more than 10 other Libyans, crossed into Niger on Sunday [, 4 September], two Niger officials said earlier on Monday. Dhao’s departure comes days after Gaddafi’s wife and three of his children fled to Algeria and fighters for the ruling National Transitional Council arrested his foreign minister outside Tripoli. The French military source said he had been told the commander of Libya’s southern forces, General Ali Khana, may also be in Niger, not far from the Libyan border. He said he had been told that Gaddafi and his son Saif would join Khana and catch up with the convoy should they choose to accept Burkina Faso’s offer of exile. Burkina Faso, a former recipient of large amounts of Libyan aid, offered Gaddafi exile about two weeks ago but has also recognized the rebel National Transitional Council (NTC) as Libya’s government’. “Large Libyan convoy arrives in Niger: sources” Reuters (05 September 2011). http://www.reuters.com/article/2011/09/06/us-libya-niger-convoy-idUSTRE78503K20110906. Cynthia McKinney tells RT America that the US needs to take care of domestic issues. The financial debt debate has many wondering what is going on with the US financial situation. Many are demanding that the US stop spending on the wars and bring that revenue home to help with domestic issues. Does it make senses to spend billions of dollars on our defense when we are so close to default? Cynthia McKinney, former US Representative and target of O’ Reilly, tells us what’s really going on. Fighting intensified Friday around the Middle East as governments tried to overpower uprisings around the region. Jeffrey Brown discusses what’s next for the people and governments of Syria, Yemen and Bahrain with author and foreign policy analyst Robin Wright (3 June 2011). USIP-Woodrow Wilson Center Distinguished Scholar Robin Wright will publish her next book, Rock the Casbah: Rage and evolution Across the Islamic World, with Simon & Schuster on July 12, 2011. Wright, the acclaimed foreign correspondent and television commentator, was well into her work on the many political, social, cultural, young, grassroots, and female forces changing the Islamic world when protests erupted across the Middle East. Many characters in Wright’s book have been involved in the upheavals. The publication date has been accelerated to July because of the extraordinary history now unfolding. Wright has reported on Islamic militancy for four decades. In this book, she tells the stunning personal stories behind the rejection of both autocrats and extremists in the Muslim world. Wright profiles young techies mobilizing political uprisings, clerics publicly repudiating Osama bin Laden, Muslim comedians ridiculing militancy, hip hop artists rapping against guns and bombs, laywrights and poets redefining jihad, feminists reinterpreting the Koran, and militants denouncing violence. She describes the new phase of the Islamic activism as a counter-jihad. For some, it’s about reforming the faith. For others, it’s overhauling political systems. For all, it is about basic rights—on their own terms and not necessarily based on Western models. Muslims are now confronting extremism and rescuing their faith from a virulent minority, thereby taking charge of history and doing what the West cannot. Robin Wright has reported from more than a 140 countries on six continents for The Washington Post, The Los Angeles Times, The New Yorker, The New York Times Magazine, Time, The Sunday Times of London, The Atlantic, Foreign Affairs, the International Herald Tribune and others. Her foreign tours include the Middle East, Europe, Africa, and Asia. She has appeared on Meet the Press, This Week, Face the Nation, Charlie Rose, Stephen Colbert and morning and evening newscasts on NBC, ABC, CBS, PBS, CNN and MSNBC. Wright has been a fellow at the U.S. Institute of Peace, Brookings Institution, Woodrow Wilson International Center for Scholars, Carnegie Endowment for International Peace Yale, Duke, Stanford and others. Among many awards, she won the U.N. Correspondents Association Gold Medal for coverage of foreign affairs, the National Magazine Award, and the Overseas Press Club Award for “best reporting in any medium requiring exceptional courage and initiative.” The American Academy of Diplomacy selected her as the journalist of the year in 2004. She has authored five books. “Robin Wright to Publish Rock the Casbah: Rage and Revolution Across the Islamic World” Woodrow Wilson International Center for Scholars (14 March 2011). http://www.wilsoncenter.org/index.cfm?fuseaction=news.item&news_id=682213. Secretary of State Clinton introduces President Obama to give his speech on the current events in the Middle East in the Benjamin Franklin Room in the State Department, as a kind of up-to-date counter-piece to his 2009 Cairo speech. Quite naturally, the President at first deals with the execution of Bin Laden and the fate of that shadowy organisation known as Al Qaeda, before delving into the recent events in the Middle East and North Africa that have now been termed the Arab Awakening or Arab Spring. Barack Obama employs these events as a way to reiterate his theme of change and hope, and how America will now deal with the rest of the world in the multi-polar world of the 21st century. “There must be no doubt the U.S. welcomes change that advances self-determination and opportunity. . . . We have a chance to pursue the world as it should be . . . It was the people themselves who launched these movements, and it’s the people who must ultimately determine their outcome”. And here is Megan Murphy presenting multiple-sourced stories on the Obama speech and other relavent events occurring simultaneously. The ‘virus of democracy’, to paraphrase John McCain, has now also infected tiny Bahrain. The Daily Telegraph’s Middle East Correspondent Richard Spencer explains why this is a major development from the West’s point of view: “Bahrain is an island in one of the world’s most important shipping lanes – The Gulf – and plays a key role in Western security policy. It is home to the United States’s Fifth Fleet, which is dedicated to keeping the Gulf and the Straits of Hormuz, through which 40 per cent of the world’s oil tankers pass – open to traffic. It is a short hop also from Iran, and connected to Saudi Arabia by a causeway. Since American troops were withdrawn from Saudi Arabia, other US bases in the region have assumed an even greater importance”. Spencer then goes on to say that the demonstrators “and opposition parties have so far not called for an end to the monarchy but are demanding full democracy. They want the prime minister to be replaced by an elected politician, and for the royal family to retreat to a ceremonial position. They are also calling for an end to what they say is a tradition of police brutality, and for improved living conditions, particularly for the poorer Shia majority”. The always-trustworthy BBC adds that ‘[s]ecurity forces have dispersed protesters in Bahrain with tear gas and batons, killing at least three people. Protests are still going on outside a hospital in Bahrain. In Libya, a security official has reportedly been sacked because of his handling of an earlier protest, and unconfirmed reports suggest widespread anti-government rallies have taken place in the regions. Clashes have broken out in the Yemeni capital Sanaa between anti-government protesters and supporters of the regime’. The BBC’s Middle East analyst Roger Hardy summarises the past weeks events in four points: “First, President Mubarak’s resignation and his departure from Cairo do not mean that the Egyptian crisis is moving towards an early resolution. On the contrary, Mr Mubarak has simply dumped his dilemmas into the lap of the military top brass. Whether they can do a better job of dealing with them than he did – and whether the military can even retain its own cohesion – are far from certain . . . Second, the success of ‘people power’ in Egypt is far more significant for Arabs everywhere than its success in Tunisia. Egypt is the biggest and most powerful Arab state. Mr Mubarak had ruled it for three decades. The Egyptian example has already electrified public opinion throughout a region where a similar set of ills – autocracy, corruption, unemployment, the dignity deficit – prevail. Autocrats whose security services are smaller and weaker than Egypt’s are more vulnerable to the chill wind of popular anger . . . Third, the impact of the crisis on regional economies – in such obvious areas as oil prices, tourism, the ability to attract foreign investment – has already been severe. Fourth, the fall of Mubarak will affect a host of regional issues – the Arab-Israeli peace process, the growing influence of Iran, the battle against Muslim extremism – in ways that are hard, if not impossible, to predict”, and then he adds, in an way arguably meant to placate worries as expressed by McCain’s viral phrase: “Fears of Islamic revolutions everywhere are misplaced. Most of the current dissent seems driven by nationalist rather than religious sentiment”. As I have indicated elsewhere, there are good indications that the U.S. government has been preparing these events since the early days of December 2008, at least as far as Egypt was concerned apparently. In other words, one could argue that these “revolutions” are but the outcome of the Bush Freedom Agenda. 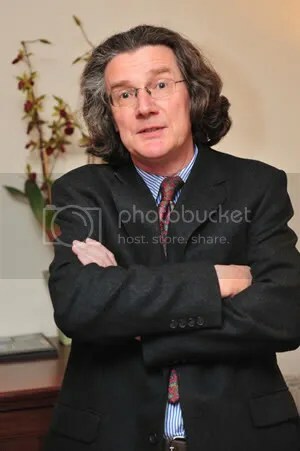 Lee Smith, senior editor at The Weekly Standard, an American neoconservative opinion magazine published by Rupert Murdoch’s News Corporation, opines that “President George W. Bush’s Freedom Agenda was based on the notion that around the world all men share the desire for liberty. It was our founding fathers who put forth the idea that this was not merely a human aspiration but a natural right, and it was the many generations of our forefathers who fought for that right, both at home and abroad. The Arabs had not been born with that privilege. Instead, they were ruled by princes and presidents for life whose governance amounted to little more than repression and the instruments of torture used by the various regimes’ so-called security apparatuses. With no room to act freely in their political lives, it was little wonder that Arabs turned to violence and extremism. In the wake of Sept. 11, Bush believed that freedom was not only best for the Arabs, but also a vital national interest that would keep Americans, U.S. allies and interests around the world safe from terrorism. The Freedom Agenda became the cornerstone of the Bush administration’s Middle East policy”. Today’s Obama Administration prefers to keep its distance in public however. White House Spokesman Jay Carney says the U.S. has stayed consistent on its message to denounce Mideast violence. Richard Spencer, “Bahrain protests: Q&A” Daily Telegraph (17 February 2011). http://www.telegraph.co.uk/news/worldnews/middleeast/bahrain/8331536/Bahrain-protests-QandA.html. “Protests across the Middle East and North Africa” BBC News (17 February 2011). http://www.bbc.co.uk/news/world-middle-east-12492706. Roger Hardy, “Middle East after Hosni Mubarak: impact of a revolution” BBC News (11 February 2011). http://www.bbc.co.uk/news/world-middle-east-12437147. Cfr. “Op-Ed on Egypt: Revolution or Orchestrated Regime Change?” A Pseudo-Ottoman Blog. Lee Smith, “In Egypt, More Proof That George W. Bush Was Right” NPR (11 February 2011). http://www.npr.org/2011/02/11/133659238/egypt-shows-george-w-bush-was-right. 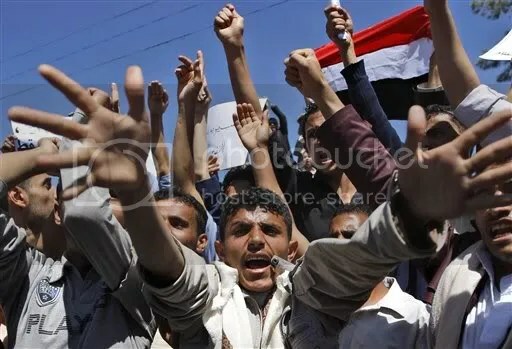 The Associated Press’ Ahmed Al-Haj reports that around “3,000 people are protesting in Yemen for a fifth consecutive day to demand political reforms and the ouster of the country’s U.S.-allied president. A small contingent of police tried to disperse the demonstrators using tear gas and batons but the protesters have continued their march Tuesday [, 15 February] from Sanaa University toward the city center. 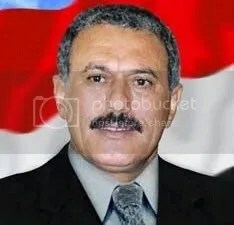 The demonstrators — mainly university students and rights activists — are chanting slogans against President Ali Abdullah Saleh, including “down with the president’s thugs.” A heavy police force and about 2,000 pro-government supporters are waiting for the protesters in the city center. The demonstration is expected to get larger as hundreds of people, students and rights activists are joining it as it moves through the city”. 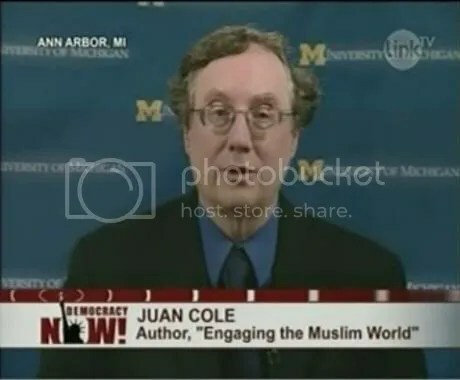 Professor Juan Cole relates in a detailed manner that last ‘Friday, Iranian President Mahmoud Ahmadinejad expressed support for Egyptian protesters. “Despite all the [West’s] complicated and satanic designs . . . a new Middle East is emerging without the Zionist regime and U.S. interference, a place where the arrogant powers will have no place”. Yet on Monday [, 14 February], Iran reacted to its own street protests in a manner only the worst of the Egyptian secret police tried, on one or two days. The Iranian security forces deployed tear gas, pepper spray and batons against the demonstrators. In some instances they opened fire, wounding protesters. Thousands of Iranians demonstrated in the streets of Tehran on Monday, with a handful being wounded and at least one dead in the course of the regime’s crackdown. Protesters were attempting to revive the excitement and anti-government feeling of summer-fall 2009, when millions objected to the announced vote tallies that affirmed the victory of president Mahmoud Ahmadinejad . . . Unlike in Egypt, where except for a day or two the Mubarak regime avoided direct physical confrontation of the demonstrators, in Iran the Basij, or volunteers for the Islamic Republic, attacked protesters on motorcycle and repressed them. Eyewitnesses said that dozens were jailed. Meanwhile clerics in parliament called for the death penalty for demonstrators arrested at the scene. Opposition leader, Mehdi Karroubi had been placed under house arrest last week for calling for further demonstrations. Meanwhile, protests also broke out in Bahrain, where Shiite activists are protesting their marginalization by a Sunni monarchy, even though Shiites form two-thirds of Bahrain’s population. The US Fifth Fleet is based at Bahrain in the Gulf . . . And in Yemen, 3,000 students, attorneys and activists demonstrated in the capital of Sanaa, demanding that long time strong man Ali Abdallah Saleh step down. In Egypt, which inspired the current round of demonstrations, the martial law government pledged to have the constitution amended within 10 days, with the changes put to a national referendum within 2 months. Demonstrators had demanded that clauses disadvantageous to free and fair elections be removed or changed before polls are held, sometime before October. In Algeria, where there have also been small demonstrations, the government is now saying it will lift the emergency laws through which it has ruled with an iron fist’. Ahmed Al-Haj, “Yemenis protest against president for 5th day” AP (15 February 2011). http://hosted2.ap.org/APDEFAULT/633c954da7d9434f9de7ed15f38075aa/Article_2011-02-15-Yemen/id-fd30b545ff29468e9f72be26b90df1b7. Juan Cole “Iran, Bahrain Crack down on Protesters, as Rallies Held in Yemen” Informed Comment (15 February 2011). http://www.juancole.com/2011/02/iran-bahrain-crack-down-on-protesters-as-rallies-held-in-yemen.html.